After the first World War, Czech arms manufacturer Franisek Janecek made a business decision to produce motorcycles. He designed the bodies and used Wanderer engines. The trademark “Jawa” was patented in 1929; the name came from the first two letters of Janecek and Wanderer. Motorcycle production was growing, and by the mid 1930s Jawa began building cars. The Jawa 600 “Minor” had a backbone frame of square section with swinging axles and a water-cooled engine. The engines were produced in Prague while the bodies were built outside the city. A body could be ordered as a two or four seater cabriolet, roadster, or sedan. 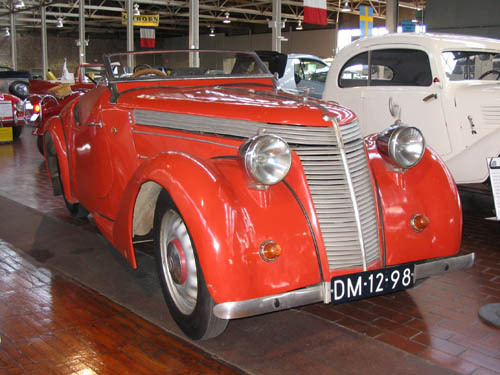 Car assembly stopped in 1939 when war production began.